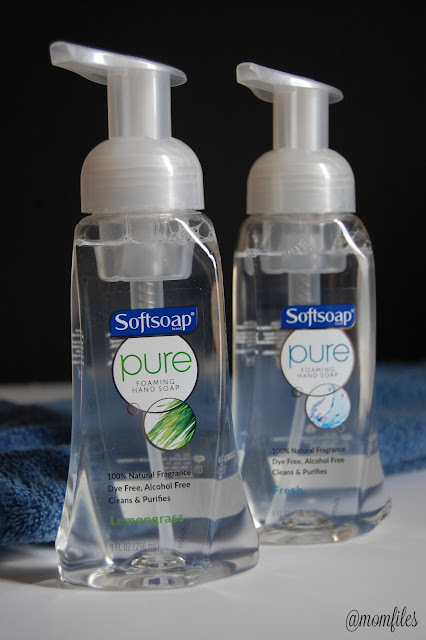 Softsoap has added another hand soap to their product line. Introducing Softsoap Brand Pure Foaming Hand Soap. 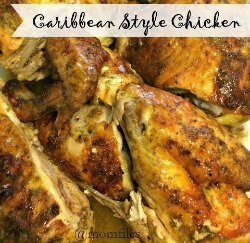 It comes in 2 scents- Fresh and Lemongrass. I like the fact that it is dye free and the fragrance is natural. The pump is easy to use and dispenses the product evenly and without any drips or mess. I like using this particular type of hand soap, especially for my little one. 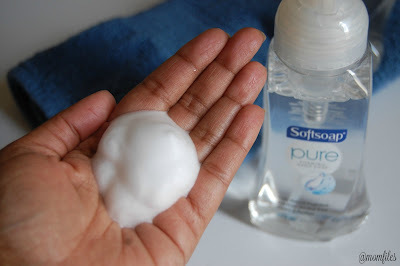 Softsoap has been a trusted brand for me and my family for many years. It cleans effectively and leaves a very light fragrance. I like both scents, but the Fresh is my favorite. You can find this product at most mass retail, drug and grocery stores. They come in 8-ounce size and retail for $2.50. You can learn about Softsoap's products on their website and follow them on Facebook for their latest products updates and promotions. I received product samples from Colgate-Palmolive for review purposes. All opinions are my own as always.